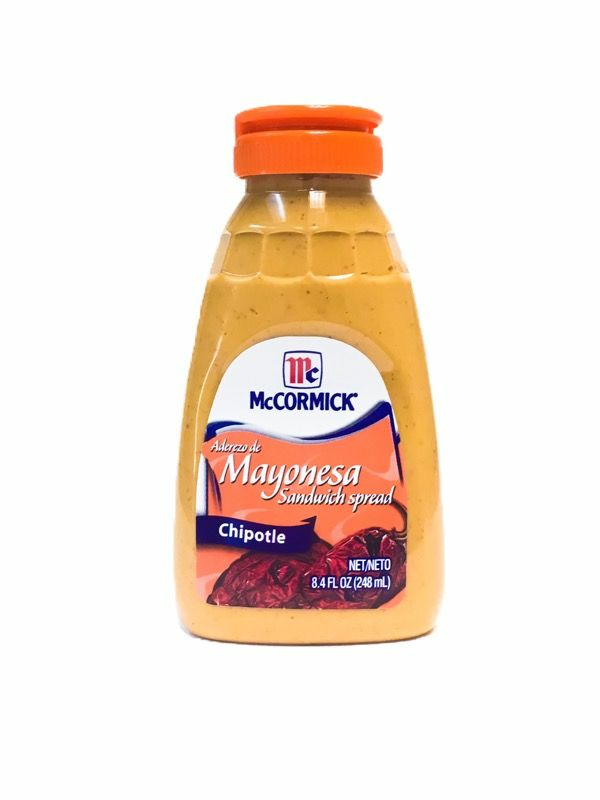 McCormick noticed that consumers were mixing chilpotle peppers with McCormick Mayonnaise with Lime, so this is how this favorite sandwich spread came to be. This product is also a perfect ingredient as the sushi spicy chipotle sauce recipe substitute. This is great stuff! It is very hard to find in my part of the country but Mex-Grocer always seems to find it! It is much better on sandwiches than plain mayonnaise. This is a great spread on sandwiches. It is not easy to find, but MexiGrocer has always had it.